I wish to balance the record regarding a Jan. 2 Salt Lake Tribune editorial ("Impact of Grazing") that left readers with the mistaken impression that livestock grazing, in general, is harmful to the environment. When done properly, grazing increases the variety and number of wildlife species, improves water quality and helps support our food supply and the local economy. The perfect example of grazing's benefits to the environment is on display at the 200,000-acre Deseret Land and Livestock Ranch in Rich County. It is impossible to argue against the value of the ranch's excellent livestock management that improves watershed/riparian health and wildlife habitat and benefits recreational opportunities. The Deseret ranch is stocked with cattle and sheep at more than double the stocking rate on most public lands, yet over the past 30 years, wildlife numbers have increased substantially. Wildlife species that are referred to as "indicator" species such as sage grouse have increased by five times during that time, while almost all other areas in the Intermountain West have seen sage grouse numbers decline. Not only have sage grouse benefited at Deseret ranch, but elk numbers have doubled, pronghorn antelope have increased from zero to more than 700 and the ranch has been designated an "Important Global Bird Area" by the National Audubon Society. More than 270 bird species use the ranch. The environmental groups represented in the editorial have suggested that they have studied thousands of small areas in the Duck Creek cattle grazing allotment in Rich County to substantiate their anti-grazing position. Small samples may have some validity, but often a small sample is not an accurate indication of the larger watershed health. The complaints related to the Duck Creek allotment may have some value, only because the ranchers' original plan to implement a Deseret-style management plan was thwarted by environmental groups. A few years ago a committee of interested stakeholders and several accredited range scientists proposed a grazing management program, similar to the DLL model, that would allow for time-controlled grazing on the Duck Creek allotment. But environmental groups, including the Western Watersheds Project, challenged the plan on legal grounds. It is important to point out that Utah enjoys the benefits of many positive and productive environmental groups that share a commitment for improved resource health. They participate in useful, collaborative efforts without the threat of litigation. However, I am disappointed with some organizations that claim to work to protect the lands, but fail to participate with agencies and other stakeholders to explore, study and formulate policy to protect the lands when given the chance, as is the case in the Duck Creek example. Rather, they make it a practice to bring legal challenges that cost American taxpayers billions of dollars for agencies to defend, while also being reimbursed with taxpayer dollars for bringing the action in the first place. According to research conducted by Wyoming property rights attorney Karen Budd-Falen, more than $4 billion was paid to three environmental groups between 2000 and 2009 for litigating environmental challenges. One of those three groups is Western Watersheds Project, a litigant in the recent Duck Creek case. In essence, federal taxpayer dollars are paying for both sides of the lawsuit, and this system, propagated under the Equal Access to Justice Act, has created a huge business in environmental lawsuits. I have learned to respect and honor the range scientists who serve in our agencies and universities. I have little confidence in scientists who are appointed by an organization that uses public dollars to limit proper grazing techniques, then uses public dollars again to challenge the results. If environmental organizations are truly concerned with land health, they participate with stakeholders from the beginning to develop proper management and restoration projects. 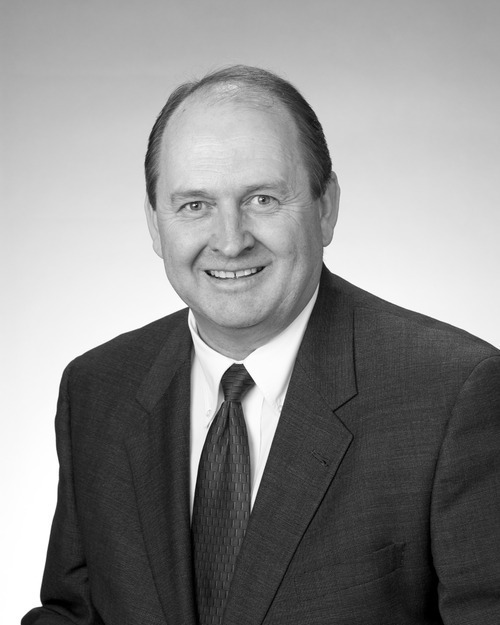 Leonard Blackham, a Moroni turkey farmer and former state senator, is the Utah Commissioner of Agriculture and Food.